Arjowiggins Antalis Digital range extension 1It’s been announced that a year after its initial launch, Arjowiggins Creative Papers Digital(tm) has added additional products to the range of papers for liquid and dry toner printing across all its well known brands: Conqueror, Curious Collection, KeayKolour, Rives and Pop'Set. These are all now available from Antalis UK. In order to showcase these new products as well as the full digital range, Arjowiggins Creative Papers has issued a new set of reference tools in the form of comprehensive swatch fans. These have been designed to help designers and printers select the ideal papers for their projects. For the dry toner range, the company said that it continues to work closely with OEMs to test their papers. It has just released a new compatibility chart that clearly indicates to printers the papers that are most suitable for use on their presses. This is available online at www.antalis.co.uk. The new additions to the liquid toner range are a response to calls from the creative community for more intermediate grades and intense colours, especially blacks and greys, in digital versions. Arjowiggins Antalis Digital range extension 2These new products have been tested by HP indigo for a 3 star rating and are available in digital format (460 x 320mm). Arjowiggins Creative Papers highlighted the fact that they are all FSC(r) certified and have a special surface treatment to ensure excellent results on HP Indigo presses. The new additions to the digital range add to an already impressive selection of Arjowiggins Creative Papers products specifically for digital printing. The company said that this will ensure paper choice is not compromised when opting to print by this increasingly popular method. 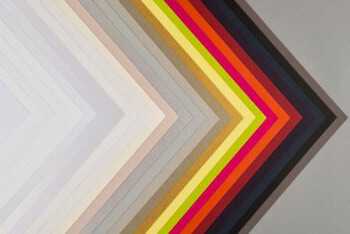 The ultimate aim of this expanded range, according to Arjowiggins Creative Papers, is to ensure that designers can now specify the paper of their choice which will allow them to achieve sophisticated results with digital printing, including special finishes, intense colours and tactile textures. 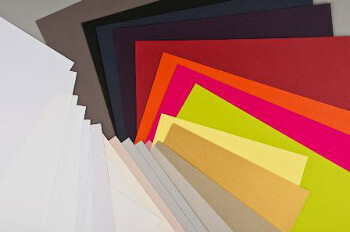 The entire Arjowiggins Creative Papers digital range is available exclusively from Antalis UK as split packs in a minimum order quantity of 25 sheets. Emma Linley, Antalis Creative Papers Product Manager, commented: "This is a great addition to our digital offer. We've listened to our customers and have worked together with Arjowiggins to develop a selection of guaranteed papers for both HP Indigo and dry toner". 0044 (0) 870 607 9014 or visit www.antalis.co.uk.